Signs under the element Air are the most creative and bold of the Zodiac and they share some common characteristics. These signs are Aquarius, Gemini and Libra. Learn more about the signs of this element in this article. People born under air signs make everything they can to avoid conflicts. They are very communicative and sensitive people and therefore they use their calmness to avoid disagreements and arguments. These people usually they have their own of being and behaving in life. They are not concerned about social standards imposed by society. This can bring them some issues and difficulties along their lives; problems that they will have to figure how to handle. However, this shouldn’t be a big stress for them, as they are people with good sense, who tend to observe and think of the issues with a sense of clarity and reasoning. Although people from the element air are relaxed and deal well with life, one should not try to invade their space or freedom. They cherish them. They are pioneers and love to learn new and original things. If you think of all the Zodiac signs, then these are the most adaptable ones. They easily deal with unexpected events and this is because they actually hate routines. 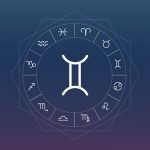 Whether in love, friendship or work, people under signs of Air tend to get along with the people of the fire signs, such as Aries, Leo and Sagittarius. But, on the other side, they might show some difficulties in the relationship with people born under the earth signs – Taurus, Virgo and Capricorn. Air signs people are very rational who tend to think through their emotions, which might cause them some issues in what comes to love and passion. Because of this, they may even lose opportunities to engage in a relationship and to enjoy the emotion of being involved with someone. Due to the fact that they tend to rationalize everything, they are unstable. This doesn’t mean however that can’t fall in love. They do fall very much in love, but the fact that they think too much, brings them lots of issues. Their tendency is to live intense love moments followed by moments of doubts and questions. People born under Air sings tend to have sensitive airways, and may suffer from allergies, bronchitis, asthma, or even frequent shortness of breath. As they are sensitive people, they might also suffer from skin problems or even experiment some psychological issues. The colours that favour the element of Air are light, such as yellow, sky blue, light pink and white. This means that you should either dress something or wear an accessory of at least one of your colours. You can also use them in the decoration of your home or office space. Just try it.